When you consider what the Dji Spark can do, it is astoundingly small and light. 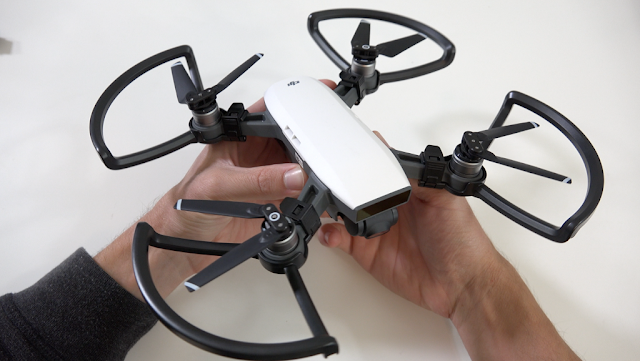 Mini drones aren’t new, but ones this capable are. Its rivals may as well be paper aeroplanes. 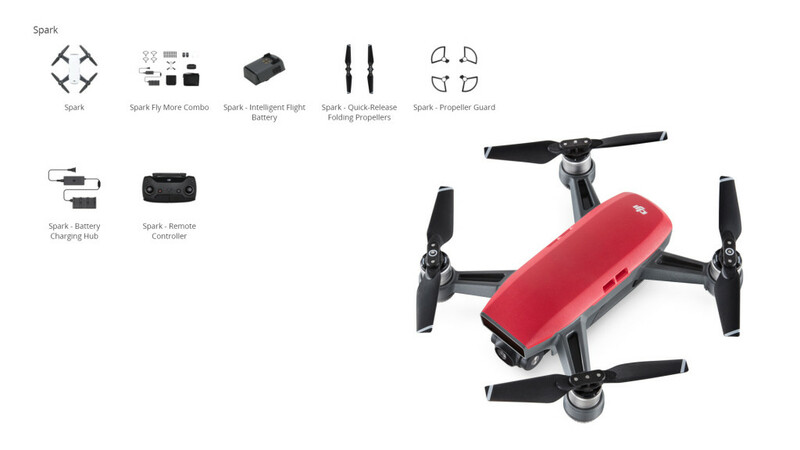 At 300g, the Spark is less than half the weight of the Mavic Pro and is 200g lighter than its closest rival, the Parrot Bebop 2. Those smaller dimensions don’t quite make it pocketable – unlike the Mavic Pro, you can’t fold down its rotors, so it’s only slightly more portable when tucked into its case. But it easily fit into my small cycling bag, and was barely more noticeable than my water bottle. It’s really what the GoPro Karma should have been. So. If you want to buy a Dji Spark what should you order Dji Spark Solo or Dji Spark Fly More Combo (Full accessories) ? The answer in this article! As you know, with the Fly More Combo, you get an extra battery, a charging hub, propeller guards and – most importantly – a remote controller. It looks very much like the Mavic Pro controller, only without the LCD screen. And let’s not forget: Spark is also compatible with the DJI Goggles, allowing someone to experience the next best thing to flying; an immersive bird’s eye view. The differences between the both is just the price. If you order a Dji Spark Solo + Accessories Solo the price will be higher than Dji Spark Fly More Combo that's all. Regardless of your choice, you’ll get all the brains of the Spark in either package. And if you do opt to go solo, you can always upgrade later. The Price of Dji Spark Solo is 489.00$ and DJI Spark Fly More Combo is 699.00$. You can order the both from Amazon or from Dji. 👉👉 Dji Spark Solo From Amazon "Here"
👉👉 Dji Spark Solo From Dji"Here"
👉👉 DJI Spark Fly More Combo From Amazon "Here"
👉👉 DJI Spark Fly More Combo From Dji "Here"
Share if you think it's useful!